Your Introduction to "One More Cast..."
If you have been fishing for a long time like me, I am sure that you have a mind bank full of memories. Some good, some bad, some exciting, and some sad; but I am willing to bet that a lot of your memories involve at least one other person, or a group of people... Whether your best friend, your cousin, your brother-in-law, or your mother-in-law. You know it, and I know it... Love them or hate them, these people are your "fishin' buddies." Every fisherman should have a fishin' buddy. Seriously, what is life (and what is fishing) if you can't share your experiences with someone else. I mean, who would be there to tangle in your line when you have a big one on... Or who would be there to borrow your expensive lures and not replace them... Or who would be there to catch a bigger fish than you... Or who would be there to laugh at you when you slip in the mud and then fall on your arse, and then proceed to tell all your friends about it. These are just some of the many joys of having fishing buddies. On a serious note however, nothing beats catching a monster fish and having a friend there to share in the moment. And sometimes a full moon rising over the ocean at night, or a shooting star, is just not as special without some else there to see it. In my life, some of my greatest moments and most treasured memories are times spent fishing with my father.... I'm sure some of you can relate. I have been lucky to have a lot of fishing buddies over the years, and unfortunately I don't have pictures here to share of all of them. But I do have some pics however, and I'd like to share them with you now. Here is a picture of my beautiful wife Marianne, with a steelhead that she caught last year on Elk Creek. I never thought I'd be so lucky to have a fishing buddy that looks so good in waders... OH MY! 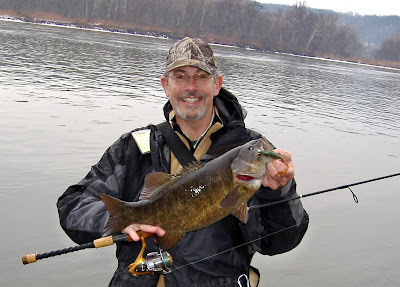 And here is my Dad with a huge smallmouth bass that he caught this past winter... 21 1/4 "s! Dad spent so smuch time with me as a kid teaching me to hunt and fish, I owe him a debt of gratitude that I can never fully repay. 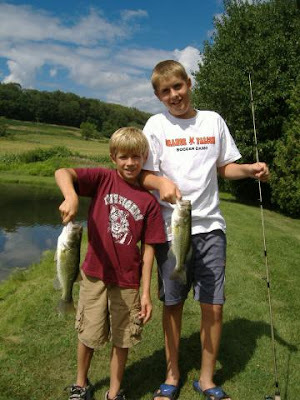 We are still best fishin' buddies to this day. These are my nephews... They've got a ways to go to catch up with their uncle, but they're learning fast! This is my buddy Pete. 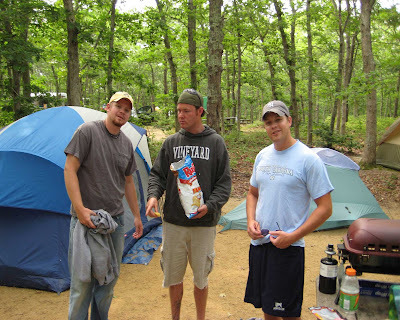 College roommate and best man in my wedding.... We've spent many days and nights together on the water. He's holding a nice false albacore from Point Judith, Rhode Island. This is my buddy Chad, who has been one of my very best friends and fishing buddies over the years. We've made a lot of trips together, and done a lot of hunting together as well. 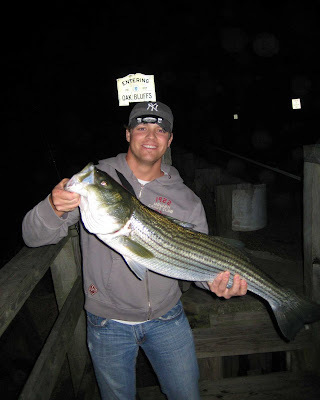 He is holding a real nice striper from the Vineyard. This blog couldn't be complete without a shot of my mom... Here she is with a massive steelhead from Elk Creek. Don't let the look fool you, she's not straining to hold it up... she's about to take a bite out of it! I met Zack when I was surf fishing the beach in Ocean City MD. Before we knew it, we were fishing together a couple times a week. Zack is one of the most passionate outdoorsmen I know, and is one of my favorite people to spend time with. 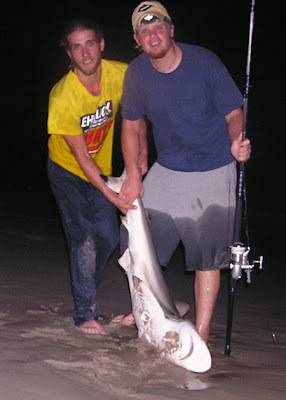 Here we are with a nice spinner shark from Assateague Island. Last but certainly not least, is a shot of my buddy Kevin. Anybody who knows Kevin will tell you that he is one of a kind... And without a doubt, one of the best fish catchers I know. 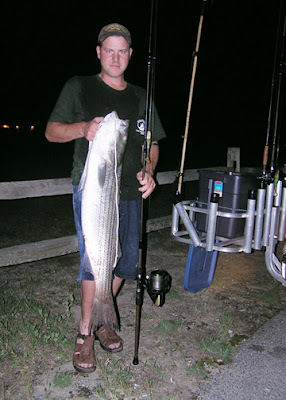 Kevin and I have spent many nights chasing stripers together. In the pic he is holding a big striper he caught at Indian River Inlet. Like I said before, this list is far from comprehensive... and I have a lot of fishing buddies that I haven't posted here yet. Keep checking back and maybe you'll get to know some of them. Thanks for reading!